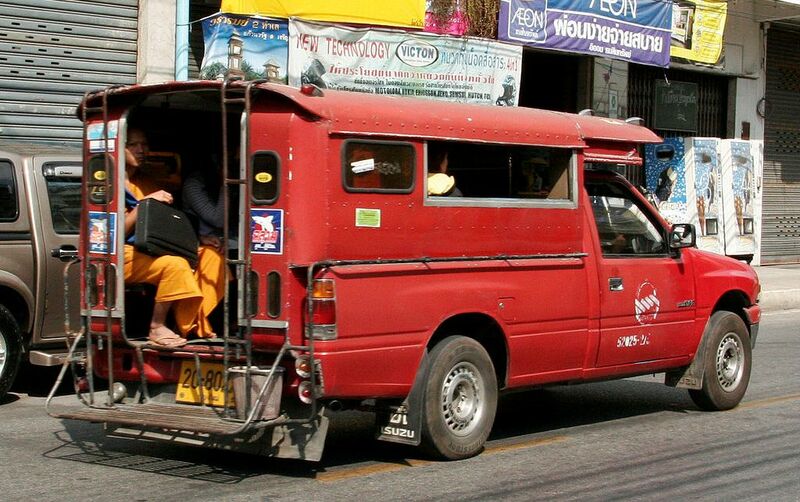 The public transport system in Chiang Mai is not what you might expect. In fact, it is not public at all. However, It does function as one and quite well for the most part. It consists of a fleet of privately owned and operated shared taxicabs commonly called “songthaews” (for their “two row” seating arrangement) that essentially cover all major routes and areas much like a public bus system. 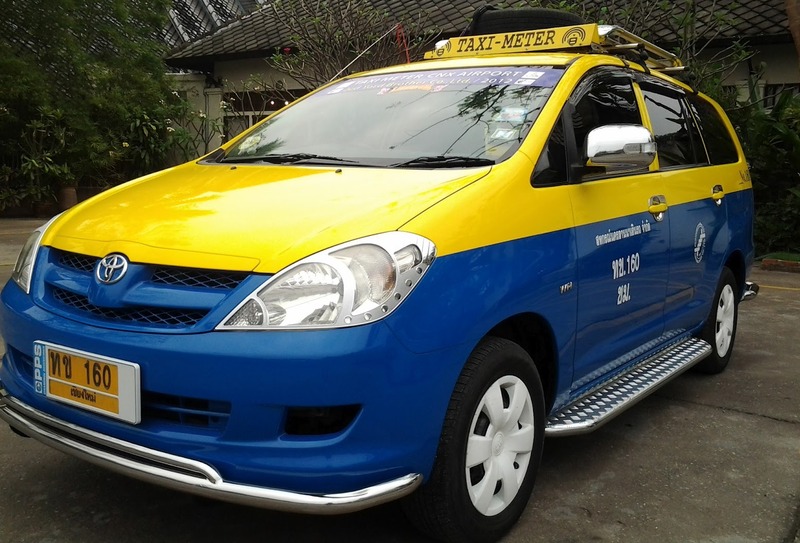 There are two kinds of shared taxicabs: free route red trucks, known locally as Rod Daeng (Thai for “red car”) and those with fixed routes which come in several other colours, these are useful for out of town trips. Even though routes are not fixed, drivers tend to follow along the major arteries where they can be certain to pick up more passengers, keeping that in mind will help you chose a good spot to hail one, according to your destination. If your destination is along his current planned route, the driver will nod affirmatively, otherwise they just say “no”. This is perfectly normal and there is no need to try to persuade him, just look for the next red truck which should not be far behind. If you are not sure how far you’re going, ask “how much?” before you get in to avoid a surprise. Generally speaking, rates are not discussed beforehand as they start at 20 THB and should not exceed 50 THB, that is unless you wish to charter the truck, in which case the driver will take you anywhere in town, for a rate you both agree on. Generally speaking you should expect to pay a lot more since you will have the truck all to yourself but it may well not be the case. It all depends on the distance and on how easy it would be for the driver to find passengers in the destination area. they will take you to your destination directly (as opposed to a songthaew which usually takes many detours as it drops off other passengers). 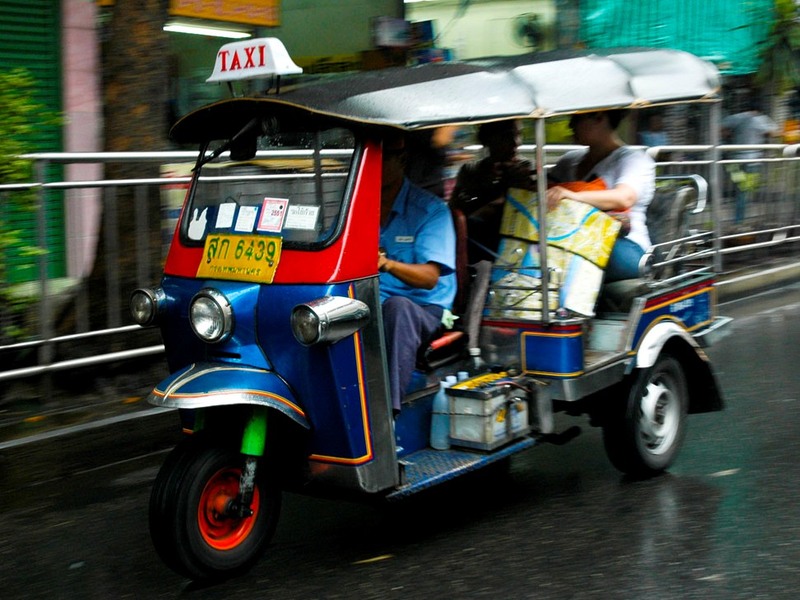 Tuk-tuk rates start at 50 THB and should always be negotiated beforehand. Although Chiang Mai’s “public” transport system may take some getting used to, in general it works quite well. Depending on where in the city one resides, it can be a very good option especially for older people who may not feel comfortable driving in the city’s busy streets.